Every October we are all asked to complete the Civil Service People Survey and give feedback on our personal experiences working in the Civil Service. I have already completed mine this year and I want to thank the other 210,000 of you who have done the same. I appreciate it takes time and we are all busy so I wanted to assure you that the People Survey is still an incredibly important tool for improving our Civil Service and, more importantly, helping you work better. Read more about why the survey is so important and value we place it on it. 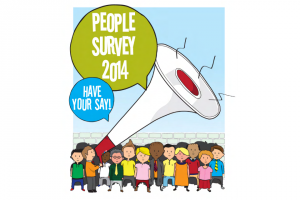 Why is the People Survey Important? Probably wont bother completing your survey. Management have shown their thanks to all the hard working AO's in the Work Service Directorate and offered ....no... not a much deserved pay increase ……..but……………. voluntary redundancy. I now know that my opinion matters not one jot, and how much my work is valued. The problem is that morale is so high at the moment, you will probably be over-subscribed.. In our part of the CS the results have been poor with a downward trend that puts us closer and closer to the bottom. Every year the reaction from management is to find an excuse rather than address the problem. I can understand the need for a staff survey as a piece of evidence to support management policy. However, I don't see the point in asking for views on 'pay and conditions' when it is patently clear that the potential for action on pay has now been taken out of the hands of Departmental managers. It is futile to ask questions about things we can't change. My own HR manager in BIS has advised that he can't do anything about pay so why bother asking the question. A staff survey that has produced a performance system that values some people 8 times more than their journeyman counterparts based on largely subjective evidence and anecdotal feedback. A category 1 is rewarded with £1,600 while the average consolidated award is £250. Brilliant. So glad I filled it in. Its an excellent idea----but there needs to be some sign that anyone takes any notice of it. I filled it in in vague hope.A bit like "spot the ball" . It appears to be a tick box exercise prior to telling the staff whatever was coming anyway. The importance of filling it in looks ,from down here, to be a matter of not spoiling the figures. If hardly anyone fills it in it might give the wrong impression. ( The fact that our "performance system" actually eats into work time, and encourages short term financial target collection over more serious long term implications........is beyond parody). I see no signs of any interest in addressing problems , possibly because how these fit in with what we do at the sharp end simply isnt understood. Looking at this again,and considering the pointless questions on pay Why did I bother? As well as the new Performance Management system, the changes to privilege days also came from a previous staff survey. I completed the survey just to give my opinion on how unfair the PMR system is to part-timers. PMR was introduced because of the survey, we said bad performance was not managed properly. Many are still doing their full time job in part time hours and if they complain are told they are not corporate enough. No wonder the results for part timers getting a top are so low. You should not have to work extra hours to prove you are in the 20% or even in the middle range! !, it should be based on quality of evidence. I used to love working here but because of the constant changes and restructures morale is low and I hope i have reflected this in my completion of the survey. We are "encouraged" to complete the survey with "positive" answers - in case any criticism results in adverse reactions for the office by the powers that be. So much for truth and honesty. Whether or not my comments would have been positive is now of no consequence as I will not complete the survey. The overall results will be skewed and not an accurate reflection of the situation as staff see it if other areas of the Civil Service have received similar "encouragement"
Valuable to management as the results can be manipulated and the twisted changes fed back to us as a response to our concerns. Valuable to the individual no! Why bother asking me about pay and conditions that you are apparently unable to influence? Did we ask for the current performance management system - no! I suspect that others like me wanted action taken to address "poor performers" who were playing the system with respect to sick/family/domestic crisis leave etc or produced almost nothing when they did turn up, but who were never held to account. These individuals are stil playing the system, a box 3 and a PIP means nothing to them, but it matters hugely to others stuck with a humiliating and career limiting box 3. 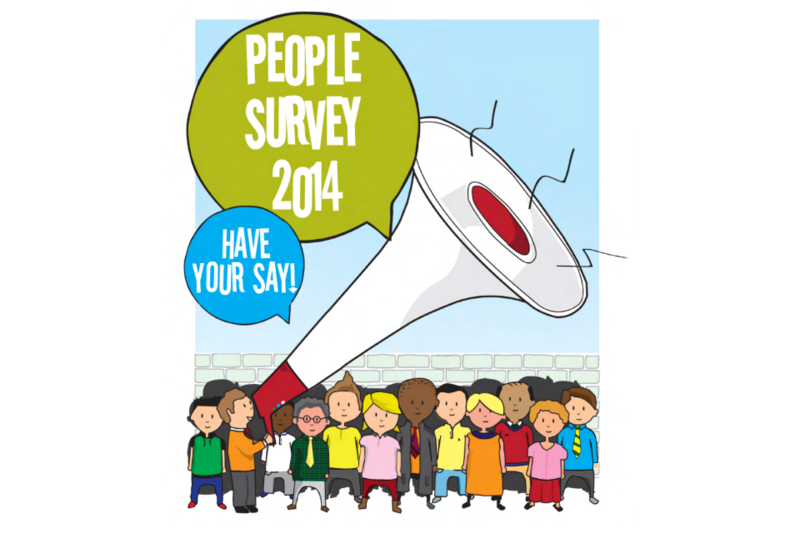 I have completed the staff survey and do so every year however i am not sure an annual survey is the right timeframe. By the time the results are published and Business Areas are getting the drilled down stats for their specific areas, are then having to review these its probably going into the next claendar year giving only a short period of time to address the top concerns raised. If Buisness Areas haven't addressed the concerns from the previous year before the new survey is out then results will be even worse. Also how can the civil service expect good engagement results at a time when they are cutting jobs, redundancies are happening, the new PMR system is not being received well at all & within HMRC if you are promoted (so that tends to be because you are working hard, giving your all to the job etc etc,) you are being penalised by having 1.5 days leave deducted from your overall entitlement (what used to be priv days). Not really something the Civil Service are going to score well from is it? The survey is written to return responses which have been predetermined to fit management spin, and results misrepresented to justify imposing further detriments upon people actually doing the work; it is little wonder that ~60% of staff do not complete it. We have no confidence that senoir management are doing anything beyond covering their own backs, whilst we get thrown under the metaphorical bus year after year. Do you carry out Exit interviews , a lot could be learned with regards to the effectiveness HR strategy / recuitment .